1. 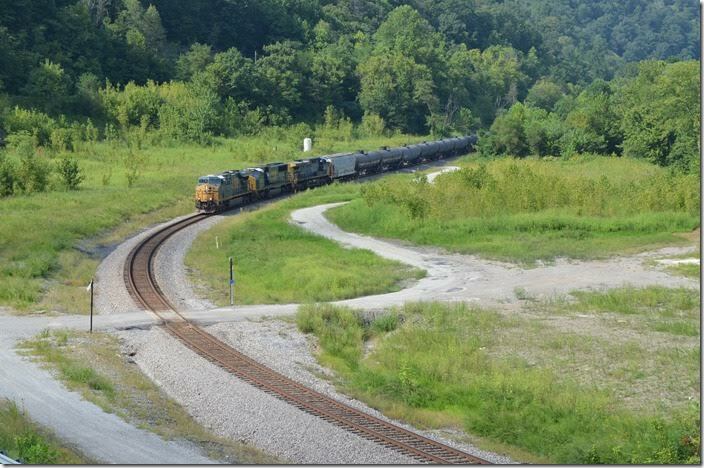 After a hiatus of almost two years CSX inaugurated daily freight train service again over the Big Sandy, Kingsport and Blue Ridge Subdivisions in July 2017. After a couple of X (extra) freights in the previous weeks e/b Q696 behind 3287 was a welcome sight on the evening of July 24th. The train had 86 cars. 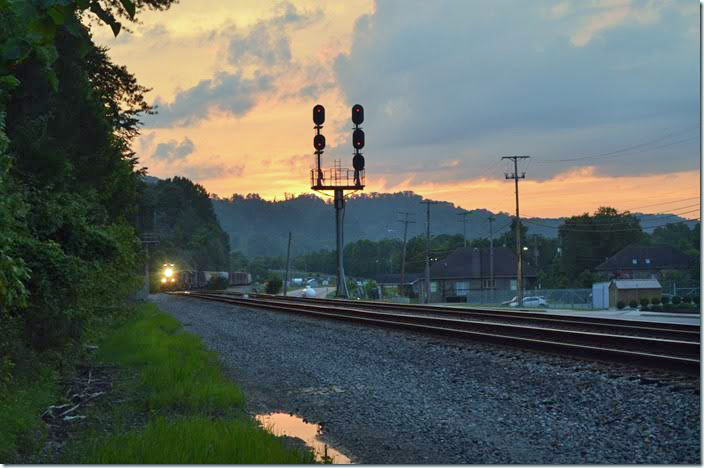 CSX 3287. WE Pauley. 2. 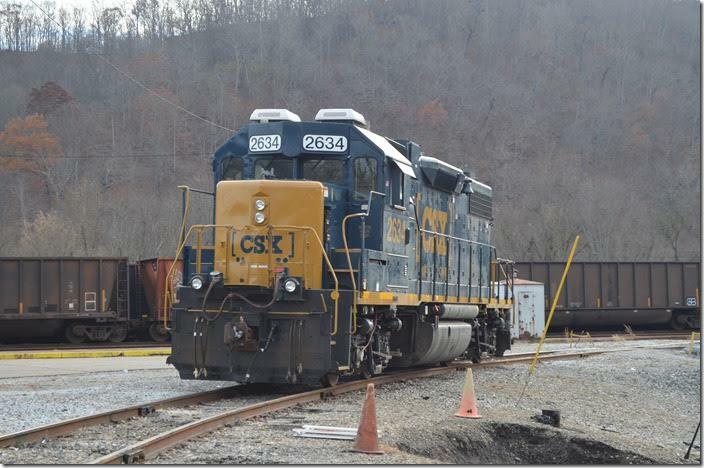 CSX 3287. WE Pauley. View 2. 3. Ethanol train K440 e/b behind 5472-4538-40 have 76 cars on Aug. 27, 2017. This is the site of the Chaparral Coal prep. plant between Pikeville and Fords Branch. The train is approaching the beginning of double track at FO Cabin. A new road and bridge to the industrial site permits this easy shot. 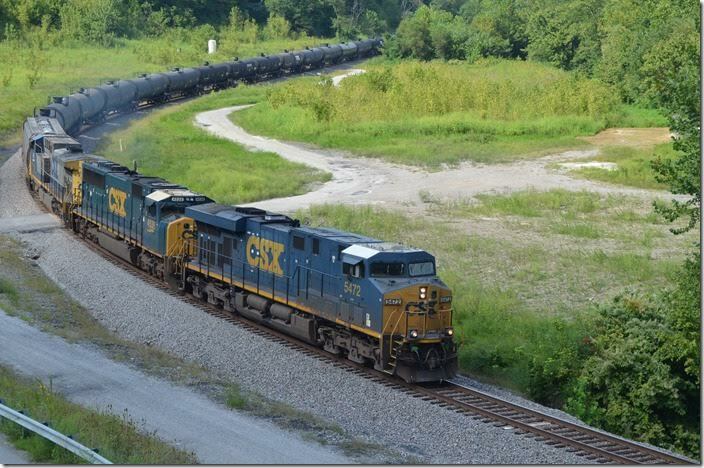 With the resumption of Duke Energy coal trains, ethanol, grain, etc. trains are rare now. CSX 5472-4538-40. FO Cabin. 4. CSX 5472-4538-40. FO Cabin. View 2. 5. 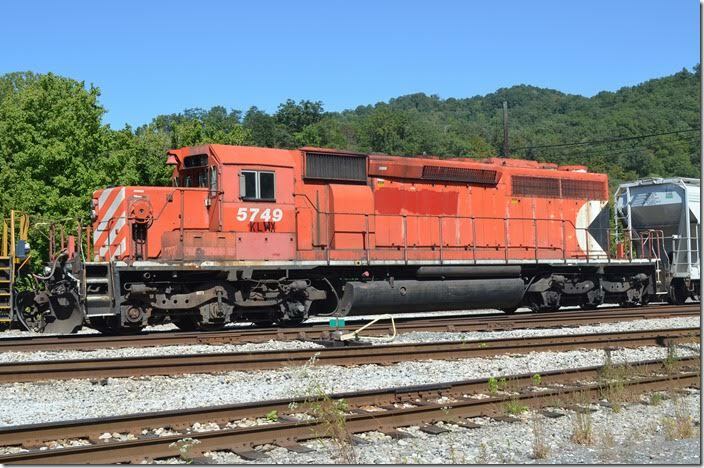 Q697 w/b pulls to a stop at Shelby behind 7828-3298 on 09-10-2017. 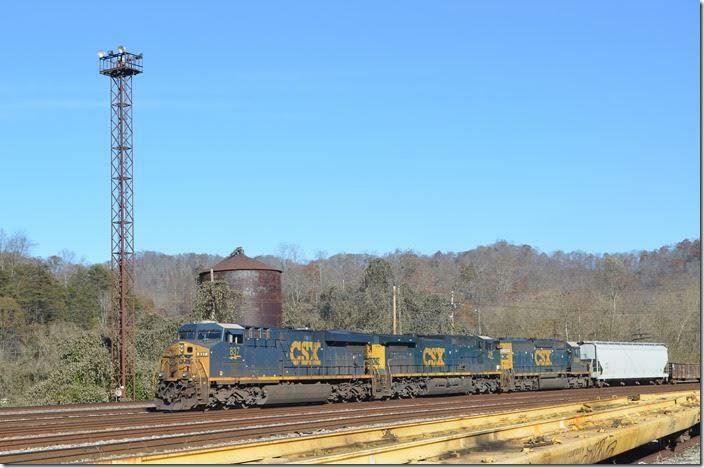 CSX 63- 7828. Shelby. 6. New ET44AH 3298 has a much larger radiator area than the old C40-8W 7828. 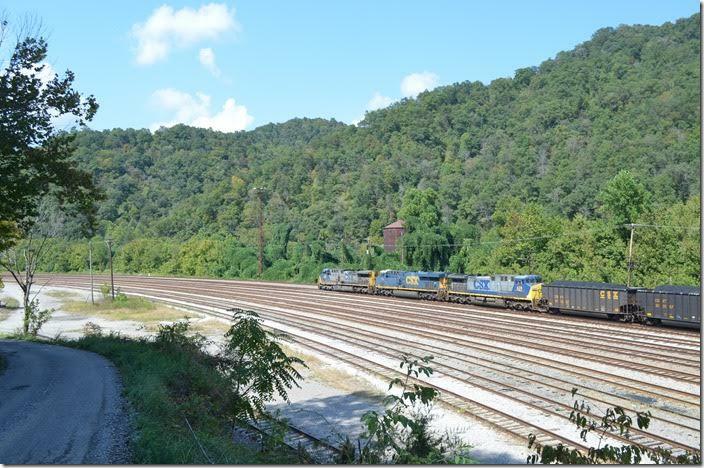 CSX 3298-7828. Shelby. 7. Dead-in-tow was KLWX (KLWX Inc.) ex-CP SD40-2 5749. Shelby. 8. KLWX SD40-2 5749. Shelby. View 2. 9. 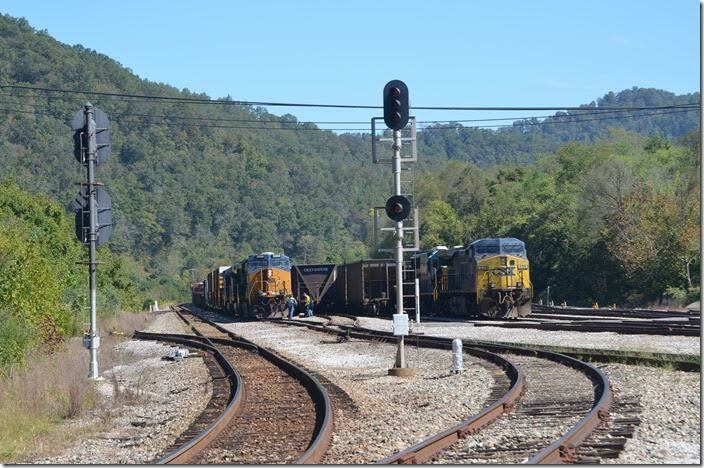 Mine run crew C660-10 took the 157-car freight to Wagner where it was handed over to a crew taxied up from Russell. KLWX SD40-2 5749. Shelby. View 3. 10. 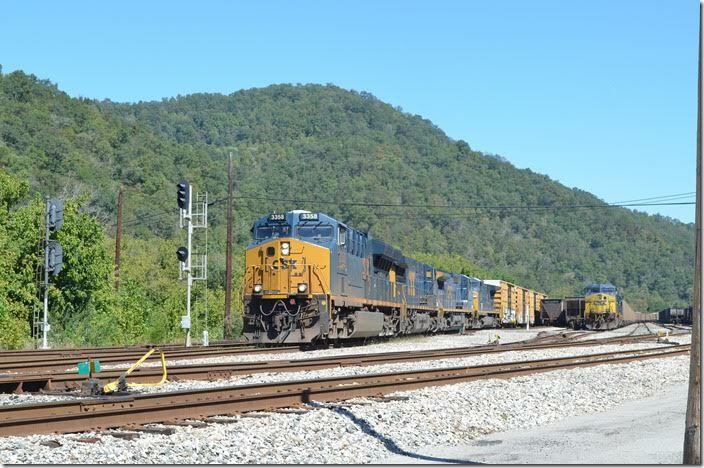 CSX 418-791-428 pulls into #1 yard track with 100 loads from McClure Mine in Virginia. 09-16-2017. Shelby. 11. CSX 418-791-428. Shelby. View 2. 12. Q697-23 swaps crews. The Kingsport crew gets off, and the Russell crew gets on. 09-24-2017. 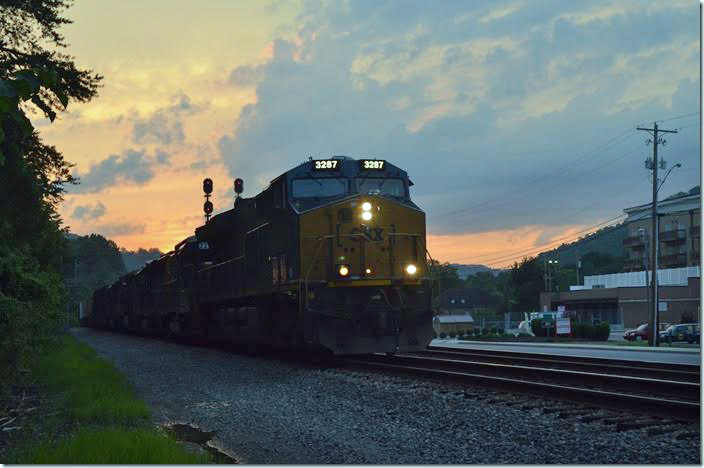 CSX 3358 - 459. Shelby. 13. 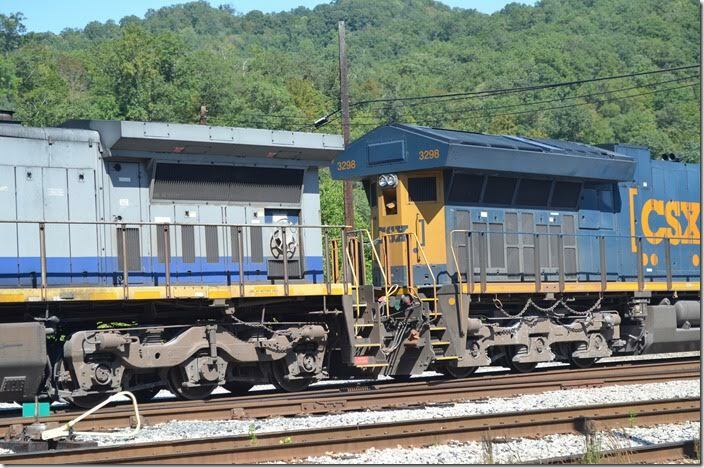 CSX 3358 - 459. Shelby. View 2. 14. 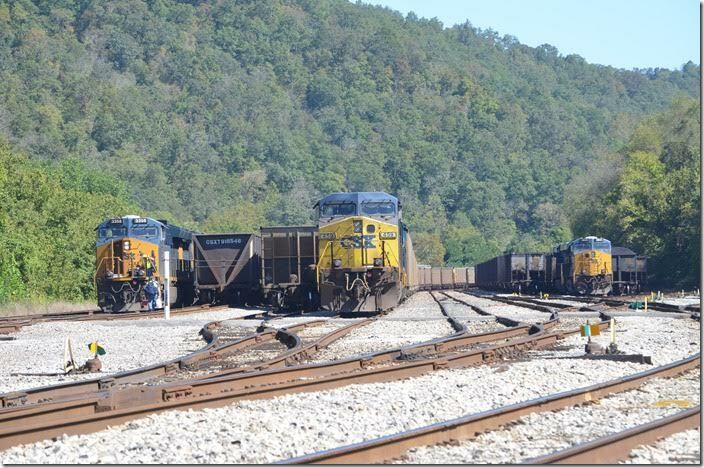 Q697 behind CSX 3358-569-7780-53 (dead-in-tow) will pull their 129 cars west and double to the next track to the right which is 110 cars brought in by Q692 earlier. Shelby. 15. Q696/Q697 have been replaced with Q692/Q693 which operate between Russell and Waycross, I think. Shortly after the Santa Train dead-headed in on 11-2017, Q692 crept in behind 837-316-8368 with 92 cars. That old water tank and the three flood light towers are the last steam-era structures at Shelby. 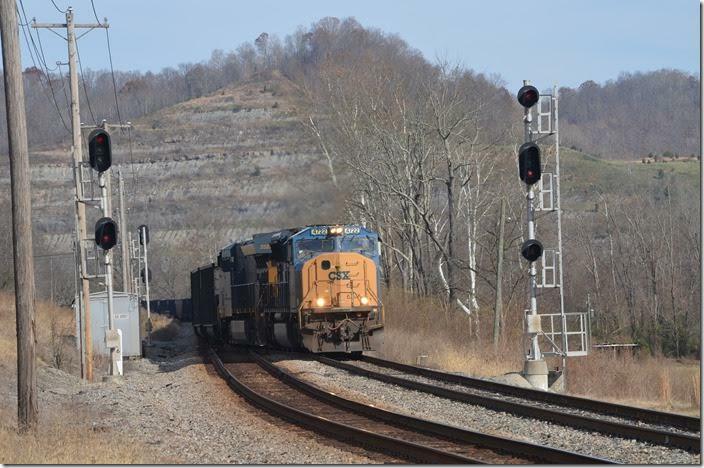 CSX 837-316-8368. 16. Following Thanksgiving we always go to Huntington, and I visit the model railroad show. 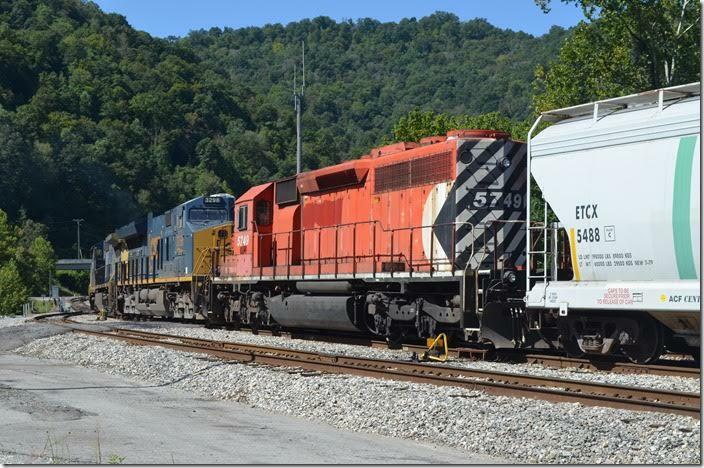 That Saturday morning I found CSX GP38-2 2634 parked on the wye at the Paintsville depot. 11-25-2017. 17. 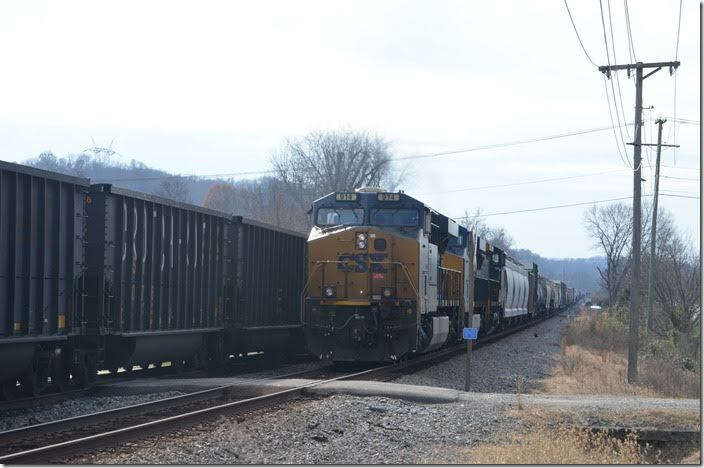 An empty e/b coal train behind CSX 4722-3327 slowly slips into Big Sandy passing siding at Zelda. Big Sandy WE. 18. Q692 is coming w/b down the main. CSX 4722-3327. Big Sandy WE. View 2. 19. With the empty train in the siding Q692 gets a clear signal. 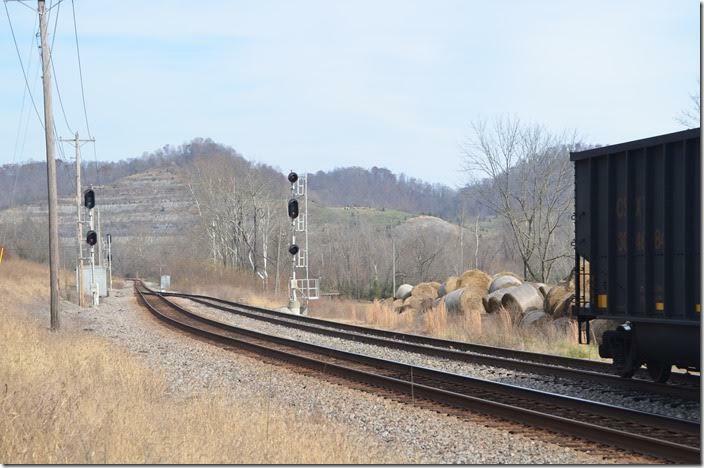 CSX signals Big Sandy WE. 20. 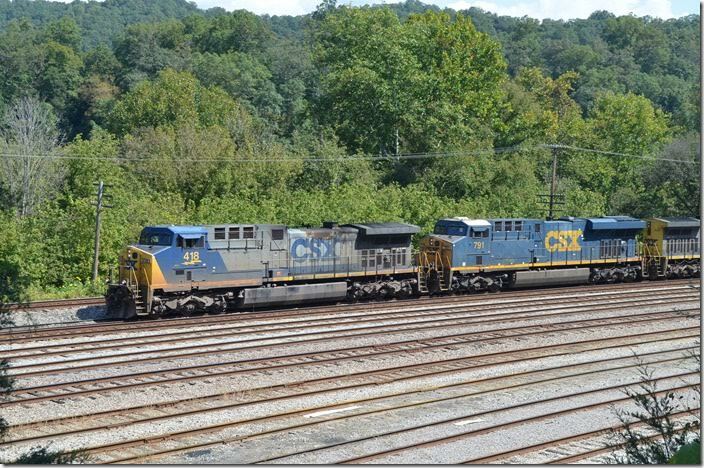 Q692 has CSX 914-3172-7737 and 123 cars. Big Sandy WE. We went through this even-west, odd-east thing back in the ‘80s or ‘90s with Q690/691. Trains were always odd numbered westbound on Big Sandy and the rest of the C&O system. 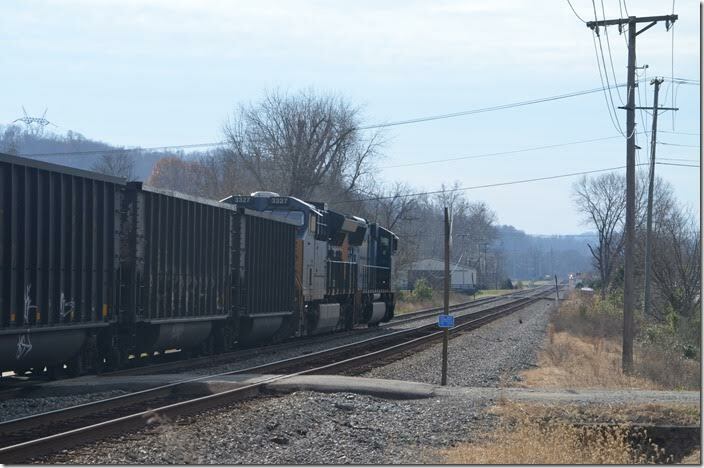 C&O didn’t have a 93 on Sandy although Clinchfield did. In recent years Q692/Q693 were Waycross-Erwin trains. 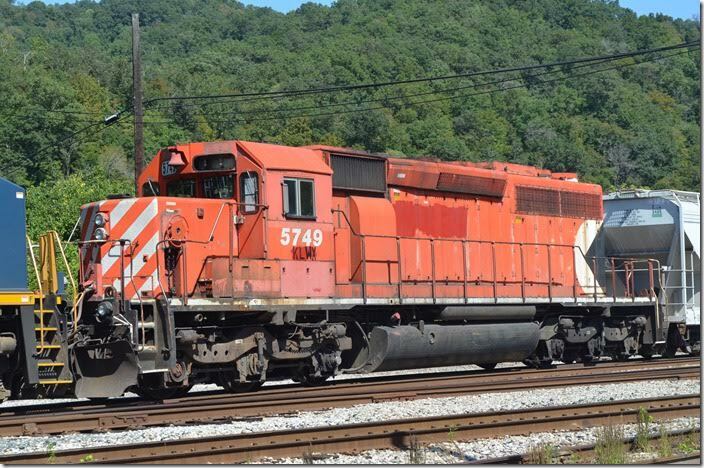 Those numbers have been resurrected as our freights now run Russell-Waycross instead of Russell-Hamlet. That’s how it is this week...it could change again. 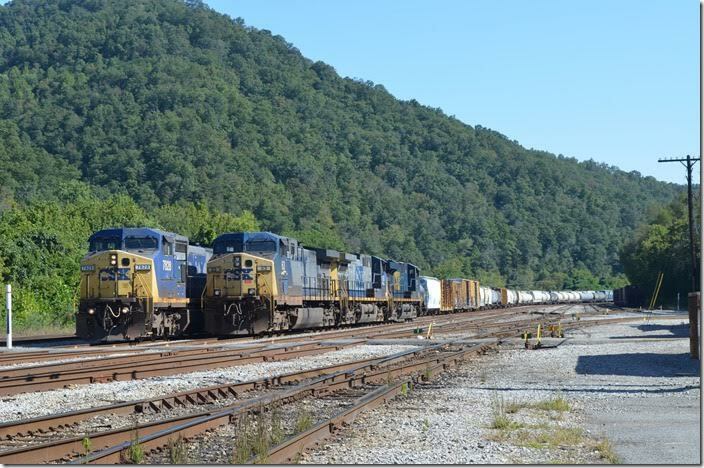 After all this is CSX. 21. Russell is not far away. The crew ought to be home in time to watch afternoon football games. 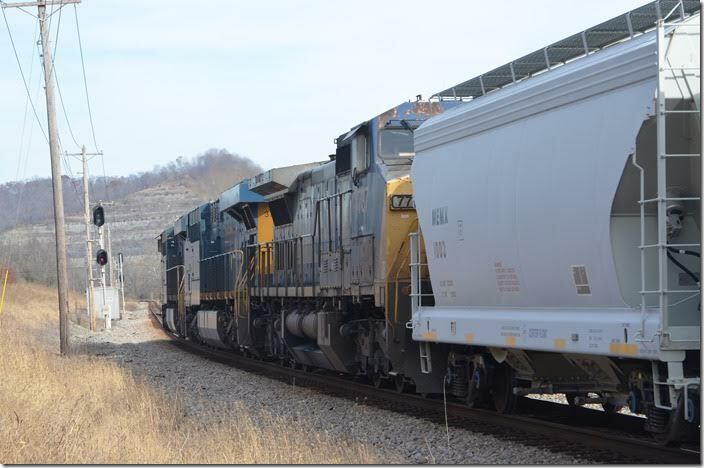 CSX 914-3172-7737. Big Sandy WE. View 2.